I hate shopping most of the time. That’s a tough position to take living here in Japan, with its long shopping arcades, both above ground and below. But there is one shop in this country I can honestly say I love. Love! 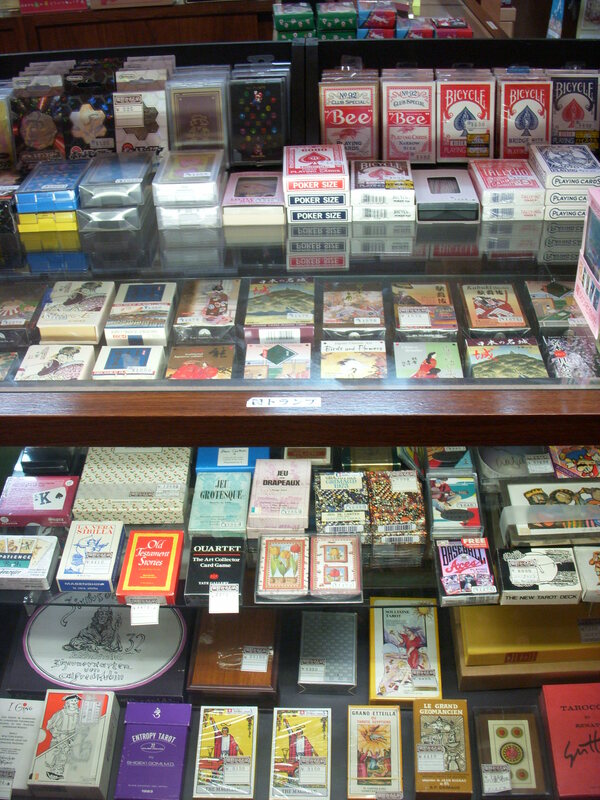 It’s in Tokyo, in Kanda, and it sells traditional Japanese hanafuda, karuta, and table games. My obsession with hanafuda (dating back to my Korean Go-Stop days) led me to Okuno Karuta. The shop sees little foot traffic, but its ambiance and mixture of both old and new left me in a state of wonder. It is literally the only shop in Japan that I have had to be dragged out of by my wife. Part museum, part retail shop, always colorful – this shop has it all. Want playing cards? Okuno Karuta has got you covered. Everything is for sale, but most of the sets displayed behind glass are too pricey for even the most avid collector. There are hand painted hanafuda, kabufuda, and karuta of every variety. There are also Mahjong sets, igo sets, and shogi boards of the highest quality. 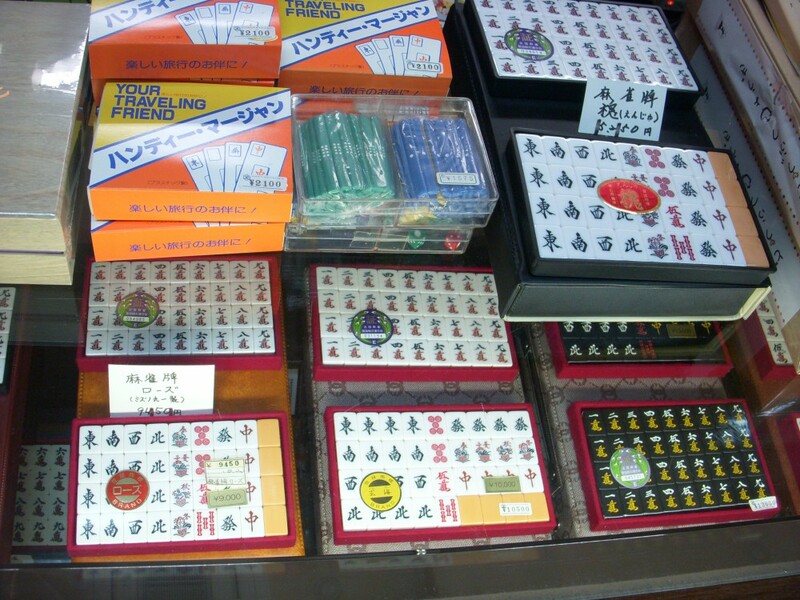 Not just cards, Okuno Karuta has Mahjong sets galore. 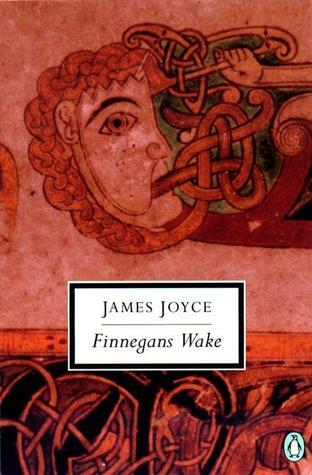 The second floor is more like a museum than a shop, and some of the shops most prized pieces can be found the there. @okunokaruta is also located hear Jimbocho, so you can stock up on all your sporting goods while your there. Funnily, there is a Games Workshop just down the road, if your into more modern tabletop gaming. 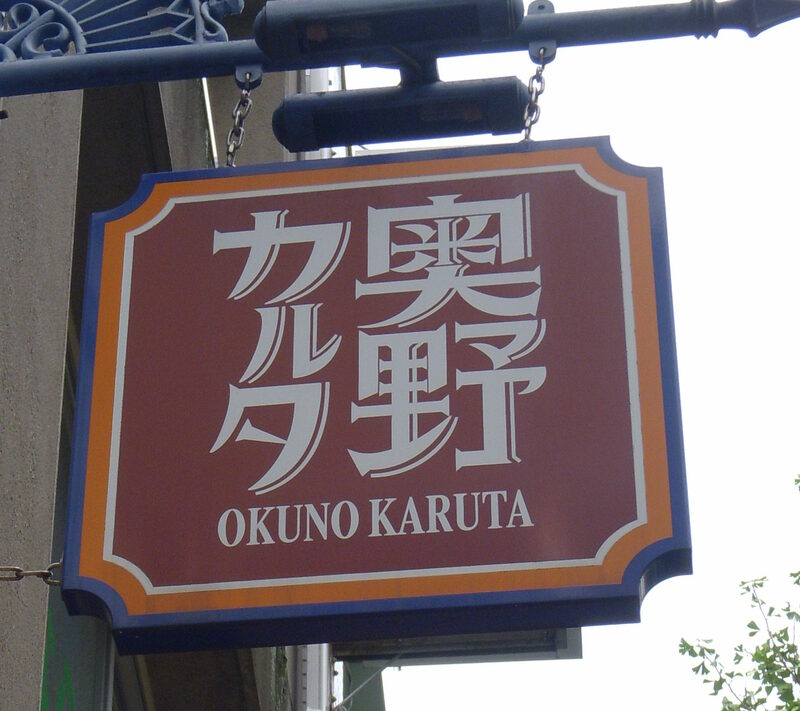 But if your proclivities demand something more traditional, than check out Okubo Karuta.